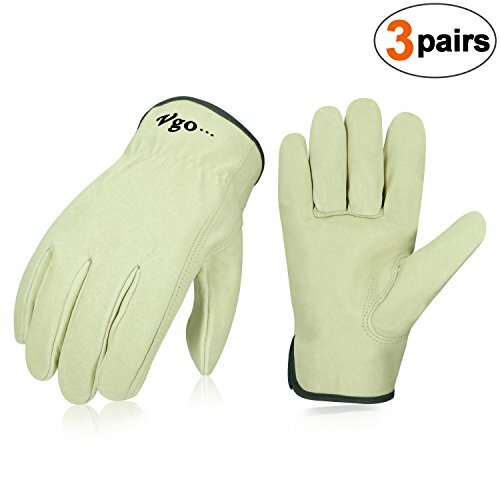 Vgo Glove Men's pigskin leather work gloves protect hands when operating gardening, hand power tools, woodworking, ranching, or just driving. The soft and supple comfort of pigskin provides excellent dexterity and durability. Sold by 3 pair pack.